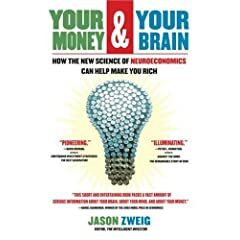 Jason Zweig, a senior writer for Money magazine, is the author of a very interesting book called Your Money & Your Brain: How the New Science of Neuroeconomics Can Help Make You Rich . The book talks about how your brain can affect your money decisions, often detrimentally, and how you can learn to spot the problems you can create for yourself. It isn’t heavy in technical discussion, but it also doesn’t practically lay out exactly how you should invest your money. You should use it more as a guide to understand why it’s foolish to keep reading the investment news all the time and to help you understand why Active Investing is so widely used even though it has no academic research to stand on. Today, I just want to talk about a few excerpts from this book so we can understand why we tend to make the mistake of seeing patterns where there are none. This is often the case for those who believe in Technical Analysis or Market Timing or many other tenets of Active Investing. I hope this example can help you begin to see how our brain tricks us into thinking we can predict the future based on some pattern we see. Zweig acknowledges that humans are very good at finding and understanding simple patterns. This ability was extremely important to our ancestors and still serves us well today. It’s really great that we have this ability – but only when we actually need it. When it comes to investing, obsessively looking for patterns in random data can be extremely detrimental to our investment performance. By trying to find patterns and use them to our advantage, we often do much worse than if we had taken the statistically superior route. Many people spend an amazing amount of time looking through tons of stock market information trying to find some kind of pattern they can use for a great new investment strategy. Even though the information is essentially random, we look for patterns that aren’t there so we can find a way to make even more money. In the process of doing all this, we often lose much more money than if we had just invested in a diversified portfolio of index funds. For decades, psychologists have demonstrated that if rats or pigeons knew what a stock market is, they might be better investors than most humans are. That’s because rodents and birds seem to stick within the limits of their abilities to identify patterns, giving them what amounts to a kind of natural humility in the face of random events. People, however, are a different story. Experimenters can test this by flashing one of two lights, green or red, onto a screen. The sequence is completely random, but 80% of the time they will flash a green light. They’ll flash the red light the other 20% of the time. (For example, a set of 20 flashes could be: GGRGGGGRGGGGRGRRGGGG. 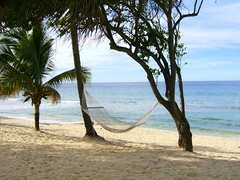 Another run might look like this: RRGGGGGRGGGRGGGGGRGG.) If you’re going to try to guess the next color to appear, your best strategy is to always pick green because it’s going to show up 80% of the time. Rats and pigeons generally use this optimal strategy when researchers reward them with some food for guessing the right color. Humans, however, tend to flunk this kind of experiment. Instead of just picking green all of the time and locking in an 80 percent chance of being right, people will typically pick green four out of five times, quickly getting caught up in the game of trying to call when the next red flash will come up. On average, this misguided confidence leads people to pick the next flash accurately on only 68 percent of their tries. Stranger still, humans will persist in this behavior even when the researchers tell them explicitly—as you cannot do with a rat or pigeon—that the flashing of the lights is random. And, while rodents and birds usually learn quite quickly how to maximize their score, people often perform worse the longer they try to figure it out. Once you realize you have a tendency to seek patterns where they don’t exist, you can stop yourself from making stupid mistakes about your investments. Trying to pick stocks based on anyone’s predictions (yours or someone else’s) can easily lead to bad results. Companies can go down for a myriad of reasons you’ll never be able to predict no matter how much research you do. As Jason Zweig says, “No one can predict the unpredictable.” So relax, learn more about Index Fund Investing, and spend more time doing the things you enjoy instead of worrying about your portfolio. If you find that you can’t tear yourself away from Jim Cramer or endless hours of researching companies, try this suggestion. Keep 90-95% of your invested money in a diversified portfolio of index funds. Use the other 5-10% to try out Jim Cramer’s predictions or your own hunches, but don’t use all of your money for these “strategies”. Having a play money account can help keep you from making serious mistakes with your entire nest egg—as long as you don’t start believing you’ve just found the best investment strategy in the world. Give it a few years and you’re likely to always see the Index Portfolio outperforming your Play Money. There’s a ton more discussion and examples of how our brain can mess up good financial decisions in Jason’s book. So if you’re interested, pick up a copy at your local library or purchase a copy from Amazon .